National Computer Saksharta Mission(NCSM) is wide registered in Govt. of India NCT New Delhi. National Computer Saksharta Mission(NCSM) Regd.No. is S-64220,1233.National Computer Saksharta Mission(NCSM) is also registered in Ministry of HRD Govt. of India(Secondary and Higher Education CR Act L-55851/2013). National Computer Saksharta Mission(NCSM) is also registered in Department of Labour, Govt. of NCT, New Delhi. Registration no. is 2015002878. National Computer Saksharta Mission(NCSM) is a fastest national literacy programme sponsores,National Computer Saksharta Mission(NCSM) is ISO 9001 : 2008 certified organization. National Computer Saksharta Mission (NCSM) conduct full/short term courses for the students. The objective of National Computer Saksharta Mission (NCSM) is to impart of basic information about necessity of computer literacy in various field with quality knowledge in very affordable fees. The moto of mission is "IT of All". National Computer Saksharta Mission (NCSM) is a successful training provider, our objective is to impart basis information about necessity of computer literacy in various fields, with quality knowledge.National Computer Saksharta Mission (NCSM) is provide study material at very nominal cost. National Computer Saksharta Mission (NCSM) to help students with a special facilities to them to participate in making “ HI-Tech INDIA”. With increasing levels of automation cutting across Industries barriers, recruiters are looking for computer qualification as minimum skill set department to manage effectively the change in this fiercely competitive market. Even through the career opportunities are more in IT Industry. A basic academic education is must for each and person, similarly in IT Industry, Computer professional have opportunities to be a programmer, Analyst operator & many more.The objective of the National Computer Saksharta Mission (NCSM) is to impart basic knowledge in computer field.National Computer Saksharta Mission (NCSM) is Registered in Trade Marks Registry(MINISTRY OF COMMERCE & INDUSTRY). 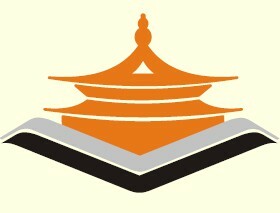 National Computer Saksharta Mission(NCSM) Trade Mark No. is 1891378 .National Computer Saksharta Mission(NCSM) is Registered in CENTRAL EXCISE AND CUSTOMS(MINISTRY OF FINANCE),NO. is BEDPK2679PSD001. Open & distance learning is one of the most rapidly growing fields of education and training. It is fast becoming an accepted and indispensible part of the main stream of educational systems in both developed and developing countries, with particular importance for the countries like India. The major task today is to create opportunities to educate the young generation, giving them necessary skills to become employable first. We, at the School of Distance Education, are pleased to give an open invitation, to wide range of potential partners, governments, inter-governmental and non-governmental organization, specialized institutions, public and private sector industries interested in developing these opportunities, to join hands with School of Distance Education for effectively meeting today's urgent education and training needs. This can be accomplished through a vision of empowering the nation to which Shobhit University is committed. 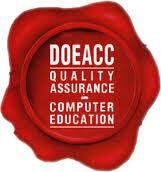 DOEACC - Bringing Quality Computer Education within Reach of More. DOEACC is an autonomous body of the Department of Information Technology, Ministry of Communications & Information Technology, Government of India with Head Quarters at New Delhi. It is envisioned to bring the most updated global industry relevant computer education, within the reach of more and more in the areas of Information, Electronics and Communication Technology (IECT).Realizing the wide gap in the availability of quality computer professionals to meet India's ambitious leadership plans in software exports, the society has revolutionized computer knowledge dissemination, by offering its meticulously prepared curriculum through the non-formal sector. A fact that is perhaps best echoed by the whole-hearted support to the curriculum, by leading IT professionals and educationists. A unique feature of the curriculum, is horizontal entry to students from non-accredited institutes, so a student with a certain minimum level of computer knowledge need not start at the foundation 'O' level. The courses range from Entry Level to M.Tech Degree level: ● Certificate Course on Computer Concepts ● Foundation level ● Advanced Diploma level ● MCA Degree equivalent level and, ● M.Tech Degree level. These courses are further reviewed and upgraded on a continual basis to suit changing industry needs and in line with technology trends, complying with the requirements of ISO 9001-2000. The National Institute of Open Schooling (NIOS) formerly known as National Open School (NOS) was established in November,1989 as an autonomous organisation in pursuance of National Policy on Education 1986 by the Ministry of Human Resource Development (MHRD), Government of India. NIOS is providing a number of Vocational, Life Enrichment and community oriented courses besides General and Academic Courses at Secondary and Senior Secondary level. It also offers Elementary level Courses through its Open Basic Education Programmes (OBE).Government of India through a gazette notification vested NIOS with the authority to examine and certify learners registered with it upto pre degree level courses whether Academic, Technical or Vocational. Association of Indian Universities, vide letter No .EV/11(354)/91/ 25 July, 1991 issued Equivalence of Senior Secondary Certificate Examination of NIOS. Indira Gandhi National Open University (IGNOU) is Central Govt. University Under MHRD Govt. Of India. The IGNOU as the largest Open University in the world is know engaging proactively with strengthening the skill base of the employable youth in the country while increasing level of enrollment of higher education tracts.